Acupuncture Treatment is the most effective methods since acupuncture stimulates the blood circulation, eliminates the infalmmation, restore the muslcle function. Over the last 10+ years, hundreds of patients have been successfully treated in our clinic. First of all, I would like to begin by thanking you for helping me with my Bell’s palsy. It started one day when I awoke and notice I couldn’t move the left side of my face. Had no feeling on that side, not able to blink my left eye, not able to have a full smile, and didn’t have the sense of taste on that side. I did not know what to do, and ask a friend if she knows what to do, being that she was in the health profession. She recommended that I should go out and seeks your service, since you have previous experience with other patients and had also cured them of this disease. I came to your office, you explain the information to me, and I become confident of your knowledge and expertise, and began treatment that day, After several more treatments, I’m able to once again control the left side of my face and start out the day with a full smile again. Many thank you. Bell's palsy is a form of facial paralysis resulting from a dysfunction of the cranial nerve VII (the facial nerve) that results in the inability to control facial muscles on the affected side. Damage to the facial nerve that controls muscles on one side of the face causes that side of your face to droop The nerve damage may also affect your sense of taste and how you make tears and saliva. This condition comes on suddenly, often overnight, and usually gets better on its own within a few weeks. Several conditions can cause facial paralysis, e.g., brain tumor, stroke, and Lyme disease. However, if no specific cause can be identified, the condition is known as Bell's palsy. Named after Scottish anatomist Charles Bell, who first described it, Bell's palsy is the most common acute mononeuropathy (disease involving only one nerve) and is the most common cause of acute facial nerve paralysis. Bell's palsy is defined as an idiopathic unilateral facial nerve paralysis, usually self-limiting. The hallmark of this condition is a rapid onset of partial or complete palsy that often occurs overnight. In rare cases (1%), it can occur bilaterally resulting in total facial paralysis. It is thought that an inflammatory condition leads to swelling of the facial nerve. The nerve travels through the skull in a narrow bone canal beneath the ear. Nerve swelling and compression in the narrow bone canal are thought to lead to nerve inhibition, damage or death. No readily identifiable cause for Bell's palsy has been found. Bell's palsy affects about 30,000 - 40,000 people a year in the United States. The cause of Bell's palsy is not clear. Most cases are thought to be caused by theherpes virus that causes cold sores. In most cases of Bell's palsy, the nerve that controls muscles on one side of the face is damaged by inflammation. Dr. Lu completed his medical education and training in China. (The Chinese Academy of Medical Sciences and Shandong University Medical College respectively) Over 20 years clinic and research experiences in both medical school and hospital, Dr. Lu learned both West Medicine and Traditional Chinese Medicine including modern medical technology, acupuncture, medicinal herbs, and specializing in neurology. After years practice and accomplishments in China, Dr. Lu was invited as a visiting professor at the University of South Carolina, School of Medicine in 1991. After excellent achievements in research program funded by NIH and NSF, Dr. Lu decided to become a Doctor of Chiropractic in order to introduce the Traditional Chinese Medicine to the Western culture. Obtained Doctor Degree of Chiropractic from Parker College of Chiropractic, Dr. Lu became a licensed Doctor of Chiropractic and board certified Acupuncturist and began his practice in Dallas Texas since then. 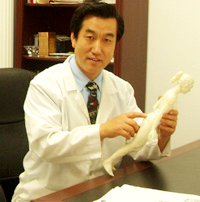 Dr. Lu learned NAET and became a NAET Instructor in 2003 and 2014 respectively. 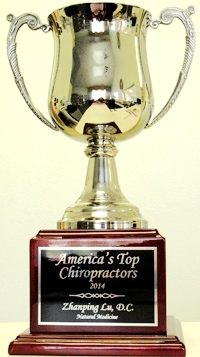 In 2007 Dr. Lu was voted the best Acupuncturist in the City of Richardson by Living Magazine. 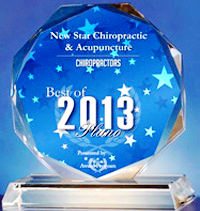 In 2013, Dr. Lu was rated the Best Chiropractor in City of Plano. 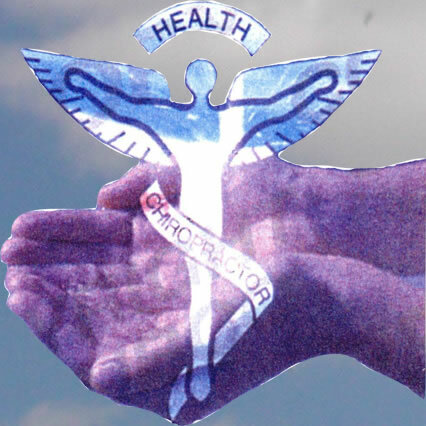 In 2014 advanced to America's Top Chiropractors specialized in Natural Medicine.